Mature muller glia cells are giant cells whose cell bodies sit in the inner plexiform layer (INL) and project thick and thin processes to both the outer and inner limiting membranes of the retina. The resulting columnar matrix maintains the laminar structure of the retina. 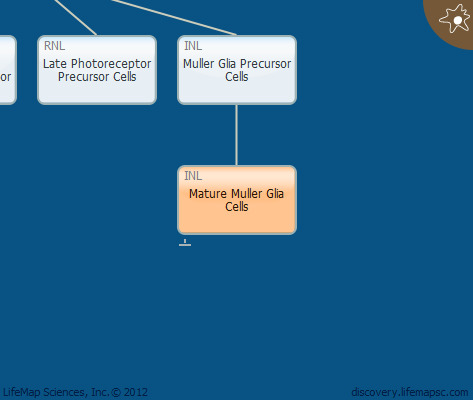 Muller glia cells also protect neurons via release of neurotrophic factors.